New Aisle50: BOGO Land O’ Lakes Butter! 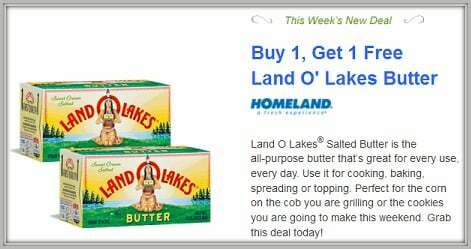 This week’s deal is for BOGO free Land O’ Lakes Butter. Purchase your deal for $4.39 (a $8.78 value), wait for your confirmation email and then head to the store. That’s 2 Land O’ Lakes 16-oz. for $2.19 each. Don’t forget you can still CLICK this link to get your FREE Wrap if you haven’t already!